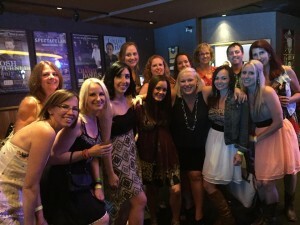 So what’s the real deal on beachbody coaching?! So, you’re here because you want a little bit more info and you’re curious about what the heck we do as coaches! So sit back, and cruise through the page to get a little bit more concrete info! 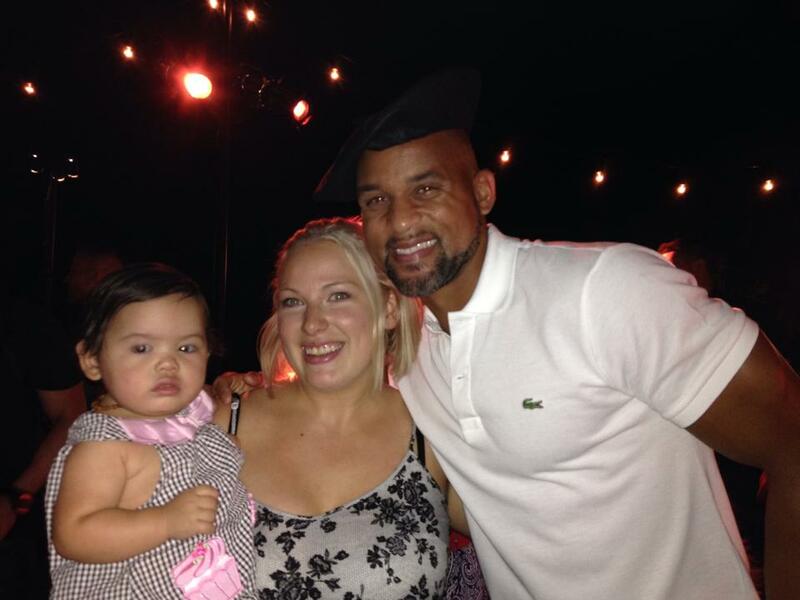 My Daughter, Me and Shaun T! 1. What exactly do I do as a Coach? As a Beachbody coach, you’ll support and motivate others to reach their health and fitness goals as you work on your own. The Beachbody programs we provide actually come with meal plans (so you DO NOT have to be an expert at this!) and help they them with their fitness through at-home workouts. You will support them in their programs so that they can achieve the results they want and help them work through things when they have issues. We use online support groups via facebook to do all of our accountability groups and training. You do not need to be a certified personal trainer, nutritionist or have any special degrees to be a coach. You also DO NOT NEED to be in the best shape of your life to inspire others! You only need to have a passion for helping others and working on yourself to get healthy and fit! 2. What are the main benefits of Beachbody coaching? 3. Do I need to be at my goal-weight to be a coach? NO! In fact, people are not inspired by perfection but people striving to make progress! People will see that you are putting in effort and making healthy life choices. They will respect you for that and ask you what you are doing! This is the perfect opportunity inspires others JUST as you are! People will relate to you because of who you are and the changes you are making. We all get better results when we have support and accountability. 5. What Countries is the coaching opportunity open to? Currently coaching is only open to Canadian and US Residents but if you live outside those areas, feel free to add me on fb.com/erinwinnipeg and we can keep in touch should the opportunity opens up where you live! We are opening up our International market VERY shortly! 4. How much does it cost to get started as a coach? The other alternative is to sign up with a workout package that we call a Challenge pack. When you want to get started with a Challenge Pack (that includes a workout of your choice AND Shakeology) Beachbody will waive the coach enrolment fee! So it really is the best way to update your workout library and save money! Chat with me to find out which program would work best for YOU! 5. Why do I have to pay Coach Fee’s? Your coach fees give you personalized websites (your own online stores), an email account, access to Beachbody marketing materials, a Coach Online Office, and personal development tools. Beachbody also handles all inventory, shipping and customer service for your growing business. It also helps manage your Direct Deposit! 5. How much money can I earn? As a business owner, you will determine the income you want to make. Whether you want to make an extra $500/month to pay off bills or completely replace the income from your job, you can achieve whatever goals you set. My husband was able to retire from his full time job in 12 months and it took me 18 months after the birth of my 3rd baby! Coaching allows me to work from home, have flexibility with my schedule, and spend more time with my family. 6. How do I build my business? What if I don’t know very many people? As a coach, you will get training on how to build your business. The way my husband and I built our business (separately) is with social media, namely facebook. We have created CUSTOMIZED training that will help you build your network in the way that works for YOU! We’ve spent 2.5 years figuring out what works, and what doesn’t and we SHARE that you! Even if you do not know many people, we will train you on how to grow and expand your network. One of the coolest things we’ve done is built almost our ENTIRE team using Facebook. And you don’t need to be a techy person for this to happen! 7. Is this a pyramid scheme or a scam? No it’s not. Beachbody has been around for over 14 years and it’s a well-established company with high ratings with the Better Business Bureau. Beachbody has had the most #1 fitness infomercials and it offers the best fitness programs in the industry. Some of those are P90X, Insanity, 21 day fix and Turbo Fire! Beachbody’s annual revenue is over $500,000,000 per year and this is only expected to grow. People love programs to help get fit! Beachbody is one of the top multi-level marketing companies and gives you the opportunity earn commissions and team bonuses. But I want to tell you that it’s not a get rich quick thing. If you buy a workout program and you don’t do it, it won’t help you lose weight by looking at it or spending money on it right? Same thing goes for coaching! If you don’t put in the time and the work, your business does not grow. The best thing about this company is that most of the people who buy the products are not coaches! They are actually customers from the infomercials or their websites. 8. Do I have to be a sales person and are their minimum sales requirements? NO! Please don’t be a sales person! What we do is share our story, our journey and what the products have done for our life! Think about it his way. When you go to a restaurant and you LOVE it, do you tell people about it? YES! This is the same concept… except you get paid for it! There is NO minimum sales requirement to be a coach! Some coaches just want a sweet discount, some want to build a 6 figure income! If you are ready to join a team with that has passion for helping others, and does so with integrity all the while working on your own journey, the time is NOW! Don’t let your fear inhibit you from discovering what is really possible with your life! Our team rocks, the people in our group WANT to help you succeed. Ask yourself, WHY NOT YOU! 9. How much time does coaching take? This really depends on you and your goals! So, it’s entirely up to you how much time you spend and how fast you want to build your business. Most coaches who want to earn an income spend between 30 minutes – 2 hours per day. I can help you determine how much time you should be spending on your business for the goals you have! Most of us are very busy and are concerned about finding the time. I hear you! I”m a mom of three young kids! My concerns as a new coach were, I’m not a sales person, I already work outside the home, and I’m a busy mom! However, my coach helped me find hidden pockets of time I never knew existed so that I could build the business to replace my full-time income while working full-time. Now, my schedule is completely under my control and I can spend time with my family whenever I need to. Seriously it rocks! I cannot wait to connect with you and get started!! Team Beachbody® does not guarantee any level of success or income from the Team Beachbody Coach Opportunity. Each Coach’s income depends on his or her own efforts, diligence, and skill. See our Statement of Independent Coach Earnings for the most recent information on the actual incomes of all our Coaches.